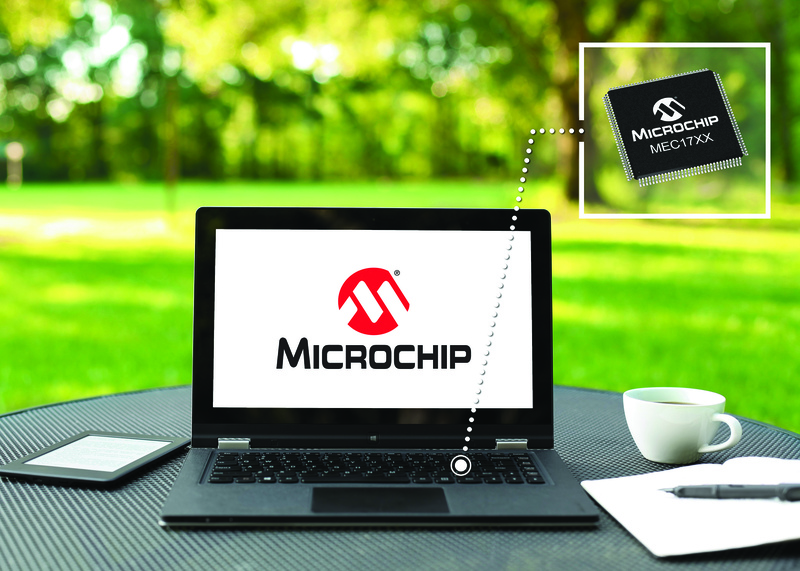 Microchip announces the MEC17XX and MEC14XX families of embedded controllers with enhanced Serial Peripheral Interface (eSPI), the host interface supported by the latest PC computing chip sets and required for new, upcoming computing applications. The MEC17XX family is based on an ARM® Cortex®-M4F core and has advanced hardware accelerated cryptography algorithms to efficiently support the secure boot of a computer. The family offers several additional features including two UARTS and an extended industrial operating temperature range that make the family ideal for industrial computing. In addition, Microchip’s popular MIPS-based MEC14XX family has been expanded to include functionality for supporting the new eSPI Slave Attached Flash (SAF) feature, which allows the Microchip embedded controller to be directly connected to an SPI Flash memory using an on-board master controller. The latest members of the MEC14XX family add a new level of design functionality for computing engineers by adding SAF, which is an optimal solution for USB Type-C™ power delivery. The latest MEC1428 devices are pin and register compatible with the MEC140X and MEC141X families, which allows designers to easily add eSPI and additional features and have more flexibility in their designs. Both families retain eSPI Master Attached Flash (MAF) capability. All of Microchip’s computing embedded controllers are supported by a variety of development and debug tools and evaluation boards, plus datasheets and other documentation. The eSPI interface has numerous benefits including allowing for multiple input/output signals to be configured to support either 3.3V or 1.8V, which reduces the system cost by eliminating the need for external voltage translators. These features allow for seamless migration of intellectual property (IP) across multiple x86 computing platforms including those based on Intel’s Atom™ processors, Intel’s iCore™ processors and Ryzen™ processors from Advanced Micro Devices (AMD). The four-part MEC17XX family is available today in a variety of WFBGA package options. The family features industrial-qualified parts as well as the option of additional EEPROM memory. MEC1428 is available today in a variety of package options.